Doing market research is an important part of a company, big or small. When a company attempts to do a market research of their products or services, they must decide whether there is a real need to do such survey? A Company big or small must understand that a product can fail in the market even if there is adequate market research. The best way of doing market research for small business companies is to get feedback of their products from their existing customers or give a free sample. Existing customers provide valuable information about the product and you get the chance of improvement. One can do this job by asking the customers questions or filling up survey forms. This will reveal important information about the products or services. A product should never take off without taking valuable information from people who will be paying for it. Another great benefit of market research is it helps in doing advertisement of the products. When the company provide an introductory pack to the customers, the advantage is they use and give their opinions based in their use. You get the opportunity to market the product as well as get feedback of the product. 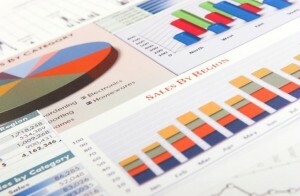 A market research company is an important part in doing business. Even small companies is taking their help to market their products even before coming into existence. Small business companies are looking forward to take the help of market research companies to increase rake and be a part of the rat race. Now, if you find a market research company that will market your products, you need to determine the standing of the company in the market. Another thing to consider while choosing a market research company is to know the company budget and time.